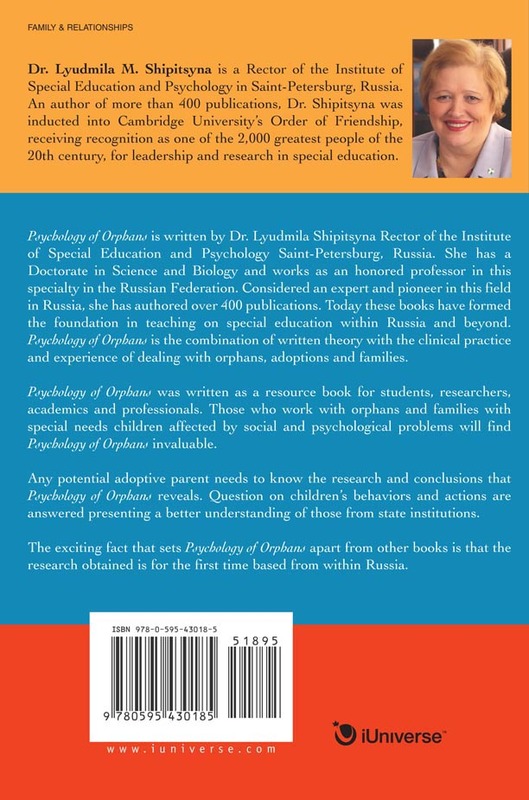 Psychology of Orphans is written by Dr. Lyudmila Shipitsyna. It is an overview of Russian history, environment and family realities that have contributed in forming part of this books content. 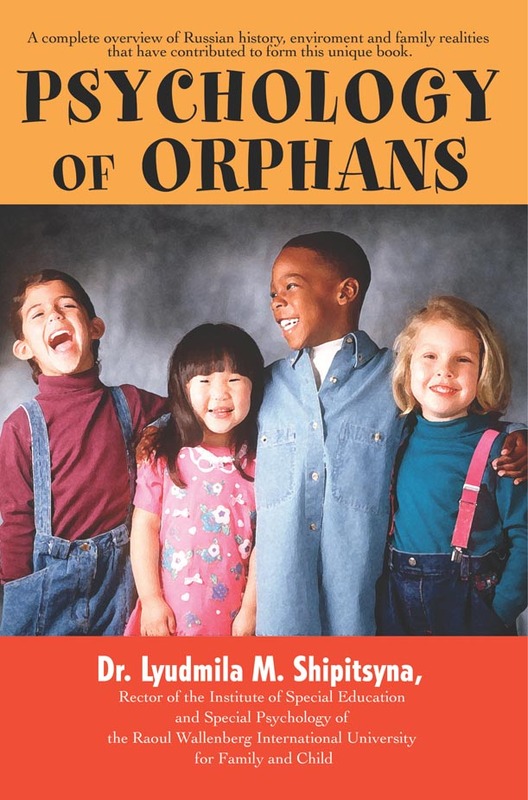 The combination of written theory with the clinical practice and experience of dealing with orphans, adoptions and families makes this book completely unique. Professionals in child care and social work or adoptive parents need to know the research and conclusions that Psychology of Orphans reveals. Questions on children's behaviours and actions are answered presenting better understanding. Rev. Gordon Lewis worked closely with Dr. Shipitsyna to present this book to North America. Rev. Lewis is founder and Director for Mission of TEARS (Ontario) adoption Agency based in Toronto Ontario. He is considered a leading pioneer in the field of international adoptions. His valuable insight offers a compelling conclusion to this book based on practical experience. We encourage you to look into the purchase of this reference material. Cost is only $29.95, this includes S&H. Order the book that receives a 4 star rating from Tapestry Books. Please contact our office for more information on how to order your copy!